Due to the vrats falling in the month of Shravan, benefits are acquired at an individual and social level. This explains the importance of vrats and our heads bow with devotion at the holy feet of the Sages who created these vrats. This vrat is observed on every Friday of the Hindu lunar Shravan month. 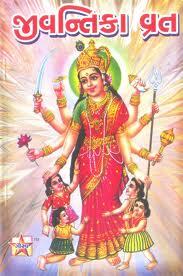 The deity associated with this vrat is Jivantika, that is, Jivati Devi. This deity protects small children. In this vrat, on the first Friday of Shravan, women draw a picture of deity Jivati on the wall with sandalwood and worship it. Nowadays printed picture is worshipped. Five married women (suhagan) having children, are invited to the house and after applying turmeric and vermillion on their forehead milk, sugar and roasted grams are given to them as holy sacrament (prasad). This vrat is observed on the last Friday of the bright fortnight (Shukla Paksha) of Shravan. In the ritual of this vrat, a metal pot (kalash) is placed and Sri Varadalakshmi is invoked into it. The Shrisukta is recited and the devi is worshipped. Thereafter a naivedya of 21 anarasasis offered to her. Thereafter, brahmin, married women (suhagans) and celibates (Brahmacharis) are offered upayan, that is, gifts. In South Bharat, Varadalakshmi vrat is observed on the last Friday of the bright fortnight (Shukla Paksha) of the Ashadh month. 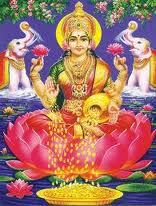 People believe that in the temples of Tiruvadi, Tiruvayur and Tiruputtur, Goddess Lakshmi herself worshipped Lord Shiv. Therefore these temples have special significance for the observance of this vrat. Begetting a son, prosperity and obtaining wealth and grains are the fruits of observing this vrat. This vrat is observed on Shravan Krushna Trutiya. The deity associated with this vrat is Srivishnu. This vrat is also known as ‘Satudi Teej’. At some places this vrat is observed on Bhadrapad Krushna Trutiya. But realistically it should be observed on Shravan Krushna Trutiyaonly. Elderly women sing various songs sitting on the swing. They are called kajari. The women observing this vrat consume only one meal. In this vrat, some other old woman is paid obeisance by touching her feet and sugar candies (batases) are gifted to her. In her place dry fruits, sweets etc. are given to the woman observing the vrat. The Amavasya in the month of Shravan is known as Pithori Amavasya. In this vrat, the sixty four Yoginis are worshipped. A fast is observed for the whole day of Shravan Amavasya. Earlier, in this vrat idols were made from flour (peeth). The food prepared to be offered as naivedya is also prepared from flour. Therefore this vrat is known as Pithori Amavasya. The children of the women observing the vrat of Pithori Amavasya are blessed with a long life.